Hi everyone, today I will be sharing with you an easy DIY on how to create some tie backs for curtains the easy way! I am not very good at sewing, but I do like to make a few sewing projects. 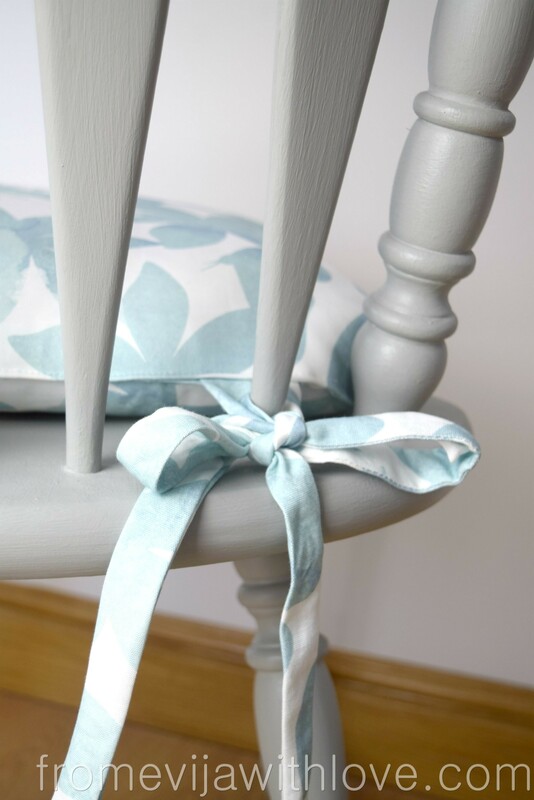 As you know my craft room was done on a budget, I made a cushion with ties to match the chair and as I had lovely pure white curtains, I thought some curtains ties would work well with the colour scheme and bring the whole room together nicely. As always I like to do things the easy way! Why complicate things if you can make your life much easier?? I used two old tie backs as a pattern and placed them over the fabric, I wanted to use. I marked the shape out and cut them out. Then folded the material (with good sides together) and sew along the line to stitch the piece together. The turn it to the righ side and you should get a little pouch. I ironed it to have nice flat tie. 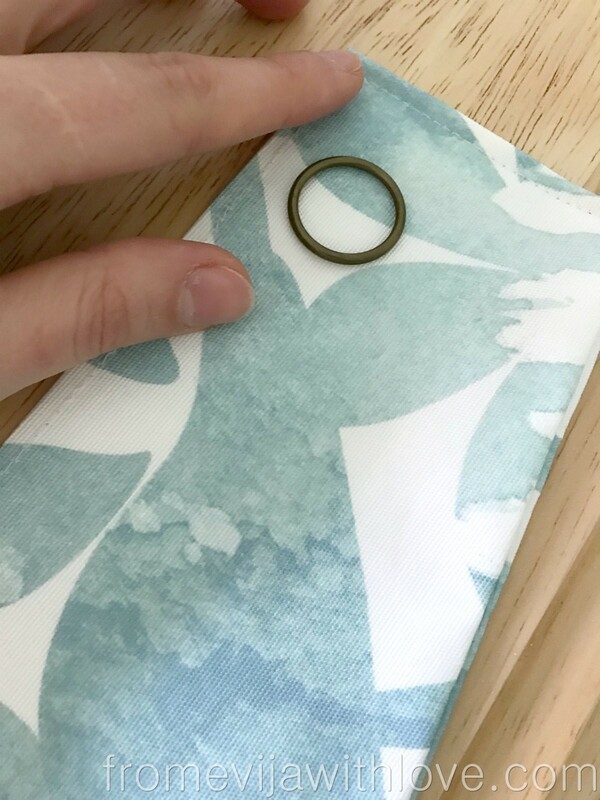 The line you stitched together is curved and forms the bottom of your curtain tie. 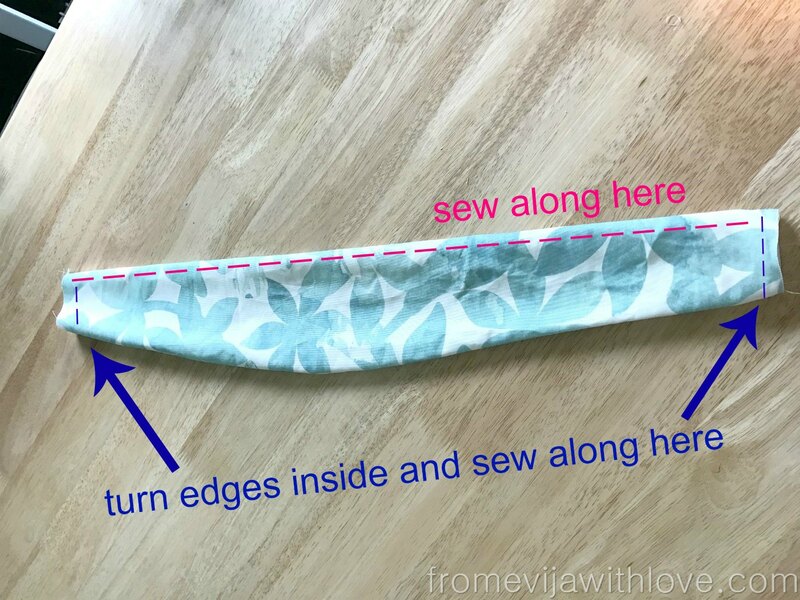 To create a nice finish, I sew along the top (pink marker in photo), then folded the two end bits in and sew along to close the ends (purple marker in the photo). I added some curtain rings on the inside of the curtain tie and repeated the steps for the other curtain tie. Then all you need to do is iron & they are ready to be put up!